In February 2011 Beata Konieczniak took the initiative to establish the Lux Pro Monumentis Foundation (in latin Light for Monuments). Lux Pro Monumentis Foundation is a group of architecture and cultural heritage lovers, city well-wishers and fans of modern technologies and possibilities . We are aware of Lodz’s great potential – the citizens and the unique architecture. The main goal of Kinetic Art Festival of Light, established by Lux Pro Monumentis, is a permanent change of the city’s image that would attract the number of people seeking aesthetic sensations that can be provided by light and the most impressive technology. We believe that the Festival with its unusual forms of exposure has a chance to alter the image of Lodz. Light as a medium is the least intrusive and, at the same time, the most effective way of getting the attention of multiple recipient. Festival’s events are addressed to all people taht are aesthetically sensitive, tempted by something intellectually stimulating. All of it can be provided by light. Every edition of Light. Move. Festival. meets with great interest of dwellers and tourists. Free and open form of the event allows everyone to participate. Every year the intention of Lux Pro Monumentis Foundation is to make these tree days of the Festival the time when the city is crowded , cheerful and capable of become artistically inspiring for locals, tourists and people associated with culture. - organization of the Festival of Kinetic Art of Light, Light. Move. Festival. (five editions). Light is used to highlight the city’s cultural and architectural potential. Green lighting technology is promoted by unique illuminations, installations, 3D mappings and large format projections. The 25th edition in 2015 gathered over 550.000 participants. The event is free of charge. - preparation of Lodz province historic preservation documentation. Each edition of Light.Move.Festival . meets with a lot of appreciation from both the participants and the mass media. 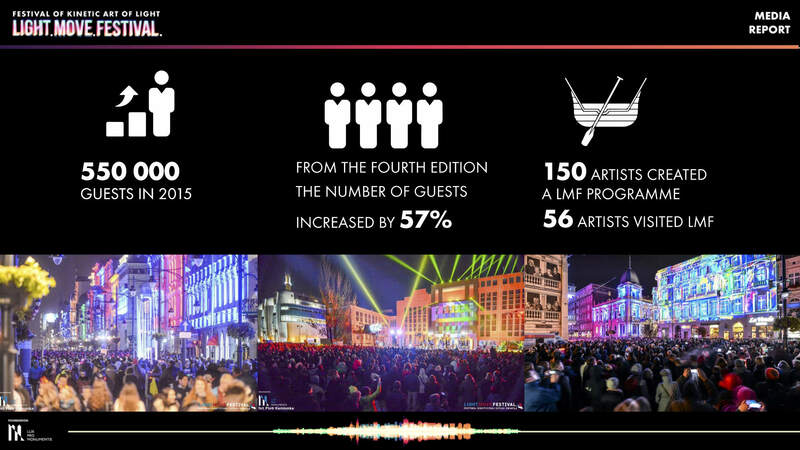 The Festival extends the field of action, also develops diversity of the programme, which results in increasing number of festival guests. 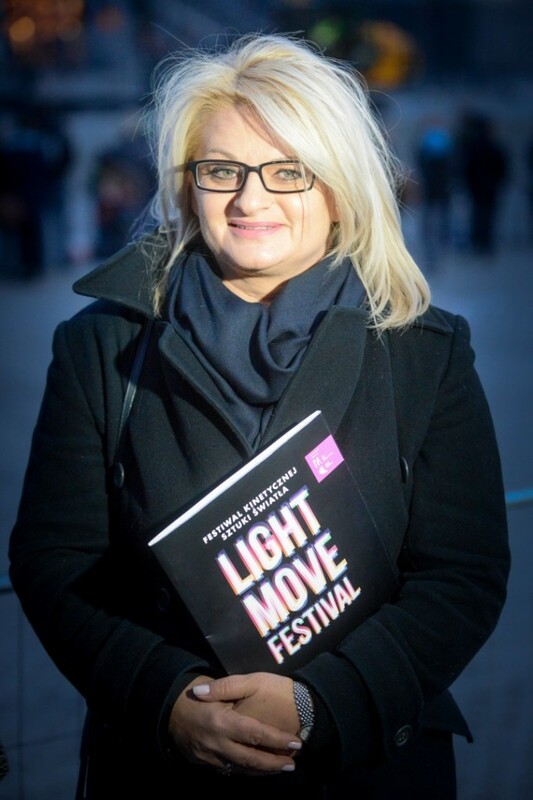 See the Media Report on Light.Move.Festival. 2015 for more details! Lux Pro Monumentis foundation is a legally constituted non-governmental organization (NGO), neither a part of a government nor a conventional for-profit business . As a non-profit organization it is financed by private donations, grants from international partners and national government. Do you have a different idea of how to support Light.Move.Festival? Write to us on: biuro@lmf.com.pl!